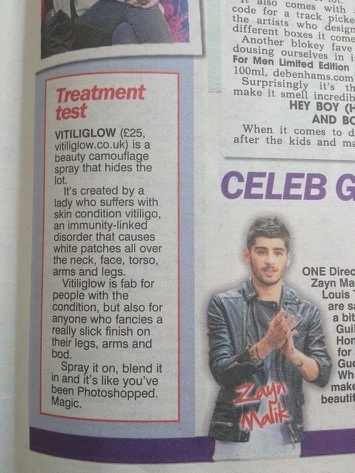 Vitiliglow™ has been in the press quite a lot since we launched in 2013. Take a look through our archives to see where we've appeared. I recently took part in the filming of a short piece about diagnosis and treatment for Vitiligo for a Birmingham student. Ashleigh had been diagnosed with Vitiligo and was researching the various options for treatment and covering up her patches. Take a look on You Tube. ​My appearance on BBC2's Dragons' Den generated a lot of interest in August 2015. In 2014, I appeared in a TV show called Too Ugly for Love, which was shown on TLC in February 2015. I did it to raise awareness of Vitiligo and the impact it has on all areas of my life. You can read about the experience in my blog. 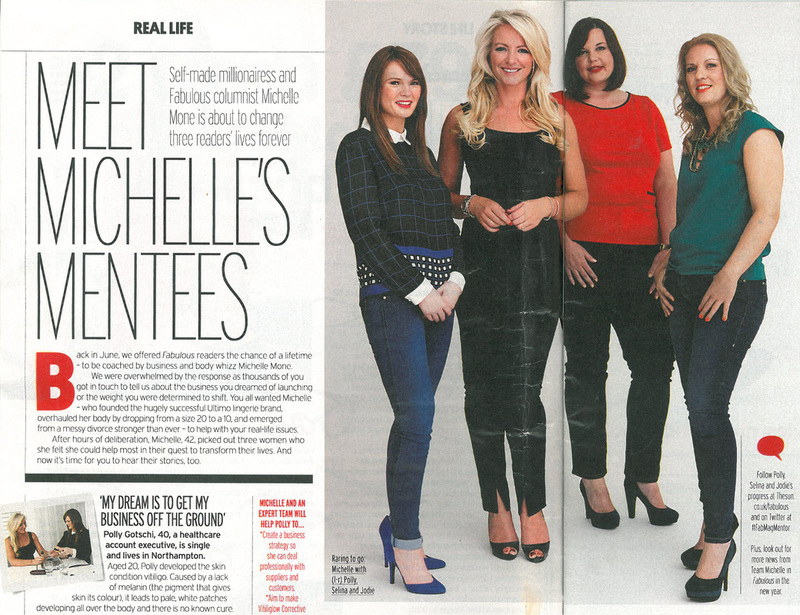 In 2013, I entered and won a competition through The Sun on Sunday's Fabulous magazine. This helped me to launch Vitiliglow™ in the UK and the experience and help I got from Michelle was a great help during my first year in business. Read more of the coverage below.